Enter your coupon code on the Shopping Cart page. This is done prior to checkout. 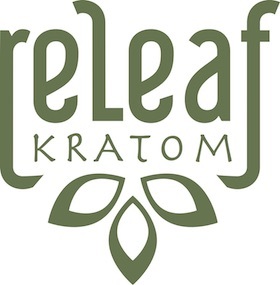 The ReLeaf Kratom AKM(Automated Kratom Machine) is available 7 days a week, 24 hours a day. Please call to schedule a consultation or wholesale order. Do you do herbal consultations at the shop? Our staff members do not give medical advice while selling products to you. The information you receive here is for educational purposes only and is not intended as a substitute for professional medical advice, diagnosis, or treatment. Always seek professional medical advice from a qualified healthcare provider who knows your medical history with any questions you may have regarding a medical condition. What is the best way to store my dried herbs? We recommend using the ziplock bags provided. The second best option for storage would be airtight glass jars and storing them out of light and heat. What is the best way to take Kratom? Kratom is not approved by the FDA for human consumption. Will you ship my package next-day delivery/USPS Priority Express? Please give us a call if you'd like expedited shipping. Do you ship Kratom to...? We not ship to Indiana, Tennessee, Wisconsin, or Vermont. Please write your representatives and feel free to pick your order up in Columbus.